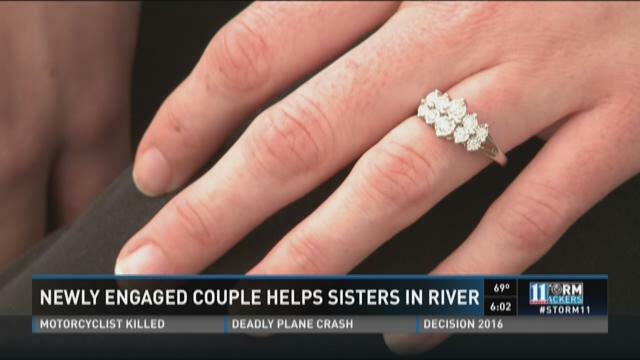 CARROLLTON, Ga. -- A Friday afternoon camping trip with family turned tragic when a 14-year-old girl died trying to save her 6-year-old sister as they spent time on the Chattahoochee River. CARROLL COUNTY, Ga.-- Protesters are calling for justice after a Grand Jury failed to indict a former Georgia State trooper in the death of two teens. With posters held high and chants pouring from their hearts, loved ones of Kylie Lindsay and Isabella Chinchilla protested against what they say is injustice. CARROLL COUNTY, Ga.-- Authorities have released video of a crash involving a Georgia State Patrol Trooper that killed two teenagers in Carroll County. 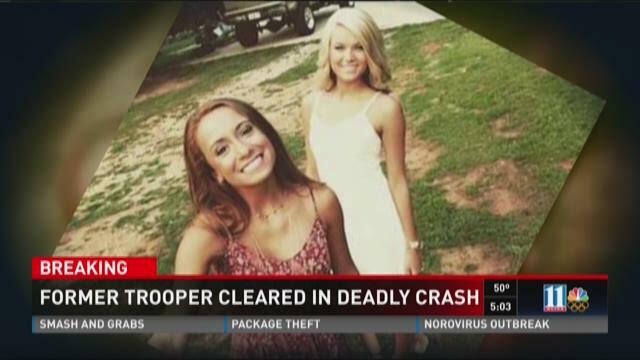 CARROLLTON, Ga. -- After a former Georgia state trooper was not indicted in the accident that killed two teens, the family of one victim is calling foul. "He lost his best friends and he was blamed for it, it wasn't his fault." Dillon's Wall's cousin and Aunt are still in disbelief that former State Trooper Anthony Scott won't be charged in the crash that killed South Paulding high school students Kylie Lindsay and Isabella Chinchilla. The crash left Dillon and his friend Benjamin Finken badly injured in September. CARROLLTON, Ga. -- A former Georgia state trooper involved in an accident that killed two teens and injured two others in Carroll County has been cleared of any charges, officials announced Wednesday. CARROLLTON, Ga. -- Carrollton police are urging the public to keep watch for a critical missing person last seen on Saturday around noon. Police describe the missing man, Lamar Allen Putnam, as a 79-year-old white male who is about 5 feet 8 inches tall and 172 pounds. Police said Putnam has dementia and a Mattie's Call has been issued in Georgia to aid in finding him. Putnam went missing from Ferndale Road in Carrollton, Ga. but his vehicle was recovered on Highway 431 in Hollis Cross Roads, Ala.
CARROLLTON, Ga. – Police arrested one man after a shooting in downtown Carrollton early Sunday. According to Carrollton Police Capt. Chris Dodd, the incident happened around 1:50 a.m. in Adamson Square. Police said two men got into argument. One man pulled out a gun and fired. The bullet hit the ground, ricocheted and hit a woman in the leg. The woman was treated and released at a hospital. Police arrested Ross Mauldin on numerous charges, including aggravated assault, possession of a firearm or knife during the commission of certain felonies, according to Carroll County Jail records. 2 shot at apartment complex near University of West Ga.
CARROLLTON, Ga. – Police say two people were shot at an apartment near the University of West Georgia Thursday night. The incident happened about 8:30 p.m. at Rivers Edge Apartments, an off-campus complex. According to the Carrollton Police Department, both victims were life-flighted to local hospitals in efforts to get them faster medical attention, but both were alert, conscious and breathing. CARROLL COUNTY, Ga. -- The trooper involved in a crash that killed two teens and injured two others in Carroll County has been fired, Georgia State Patrol officials confirmed on Friday. Officials said Trooper First Class A.J. 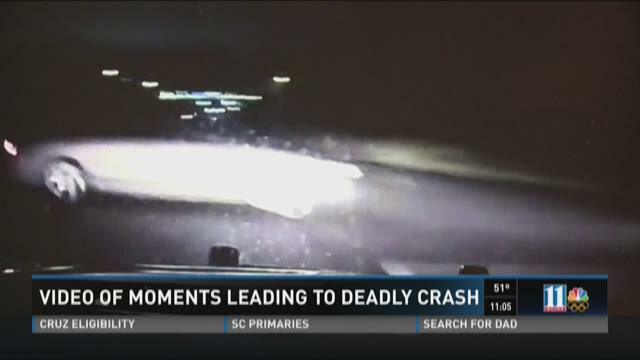 Scott was driving over 90 mph while not on an emergency call just before he struck a vehicle carrying Kylie Lindsay, 17, Isabella Chinchilla, 16, and two other teens. The speed limit at the area was 55 mph. Investigators found that he was traveling about 65 miles per hour when he struck the other vehicle killing Lindsay and Chinchilla. VILLA RICA, Ga. -- One man was hospitalized and three others arrested after a fight broke out at a breast cancer charity event. Villa Rica Police responded to a call about a fight Monday afternoon. The Watering Hole Sports was hosting a motorcycle charity event to raise money for breast cancer. Investigators say members of the Hard Life Motorcycle Club started a fight in which a person was stabbed. That person was transported by Life-Flight to Atlanta Medical Center and is now in stable condition.